Hope you all had a wonderful Holiday season. We’ve recovered, knock wood, from various tummy bugs and colds. Yay! I am not only appreciative of everyone’s health, but very happy to get back to cooking and feeding my babies good food (Saltines and Pedialyte get pretty old fast). For Ela, who just turned ten-months this past week (omg! ), I’m on the hunt for fun finger foods. She’s not always in the mood for mommy shoving a spoon in her face and enjoys feeding herself. For Kirina, that tummy bug took its toll! We’re trying to gain back some weight, so each bite needs to count (and you all know, parents of toddlers, how much effort it can take to get even one bite of anything healthy into a finicky mouth). Fast. Healthy (high in protein and good yolk fat for baby). Budget-friendly. Easy to cook. And versatile. Yes, you can cook them in various ways (scrambled, boiled, omelettes, etc.) but you can also season them. 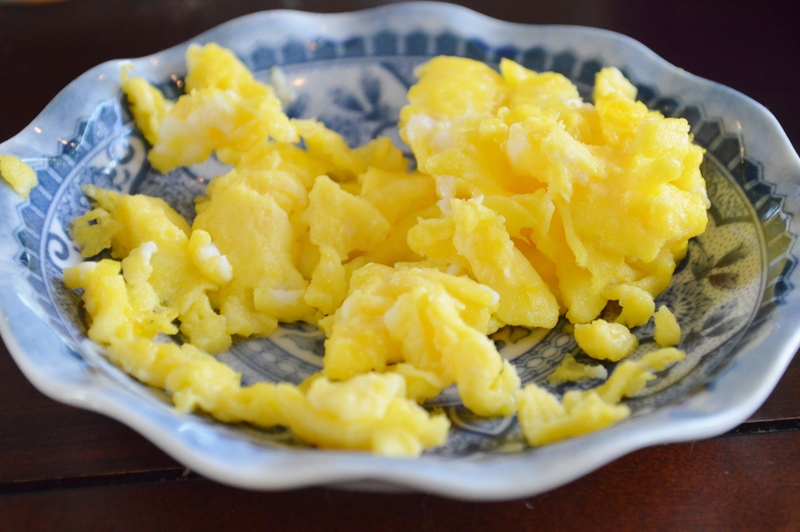 Ela’s current way to eat eggs is scrambled (I scramble eggs with a touch of half-and-half and a pinch of salt and cook them in over low-medium heat in a lightly buttered pan) with a pinch of oregano or Italian seasoning. My husband introduced this to me the first year we met and he made me the tastiest batch of scrambled eggs. His secret was using the slightest pinch of oregano in the egg mixture. It totally transformed the eggs into something new and different! But don’t stop there! 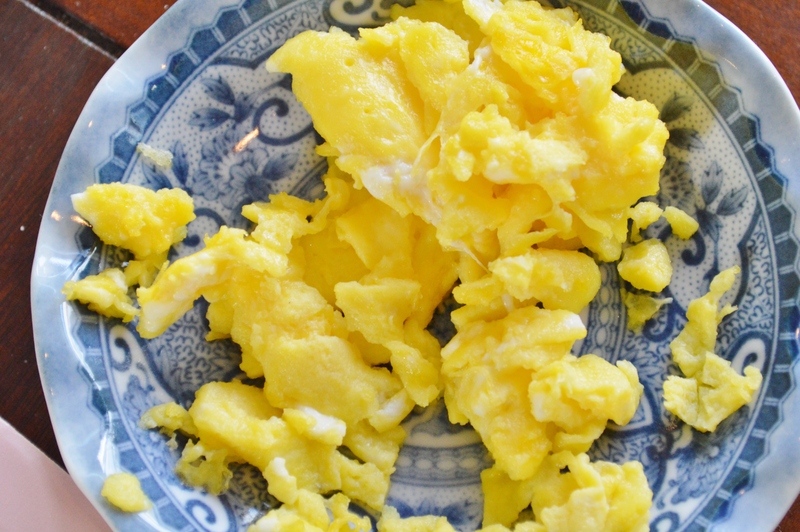 You can try a pinch of just about anything on a scrambled egg. Paprika, cinnamon (Kirina’s favorite), basil, onion powder, cumin or coriander powder. What’s great is that you can serve a different “flavor” of egg anytime you want, making for a different meal each time. Toddlers will get a kick out of choosing their “egg flavor” which might also help them eat more of it (ah, the budding independence of a tyrant, um, toddler). And babies will learn to taste new and yummy spices. Give it a try and let me know what you think! A quick note on eggs: make sure you check with your pediatrician and ask when your little one is allowed to eat them. From Ela’s high chair to your little one’s, bon appetit! Great idea… I currently fry an egg for my 9 month old daughter but she is so picky she barely eats any. 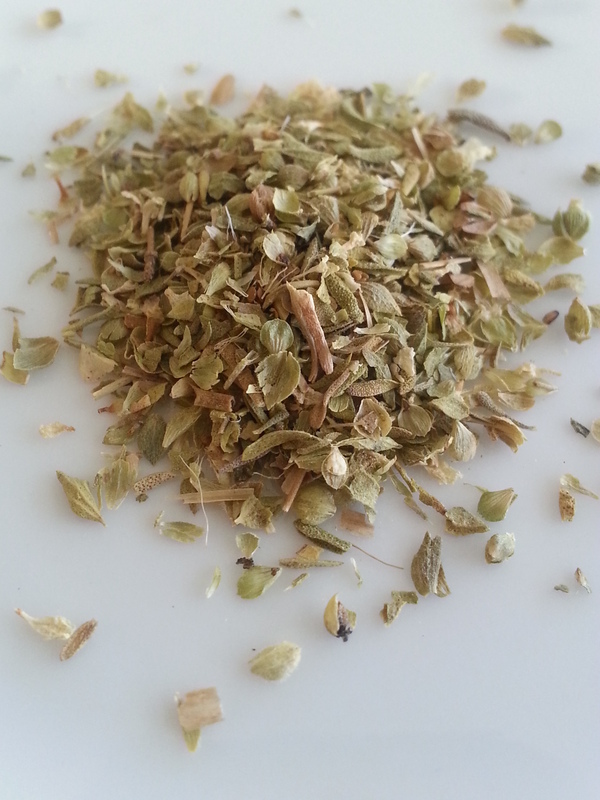 I think I will try scrambled with some oregano for something new – thanks for sharing.